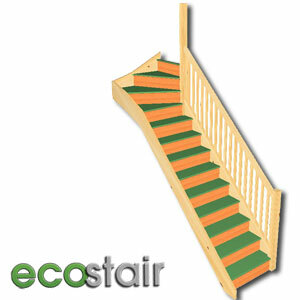 Easily the most popular winder staircase design you start with the three kite winder turn at the bottom and then nine straight treads up to the top nosing. 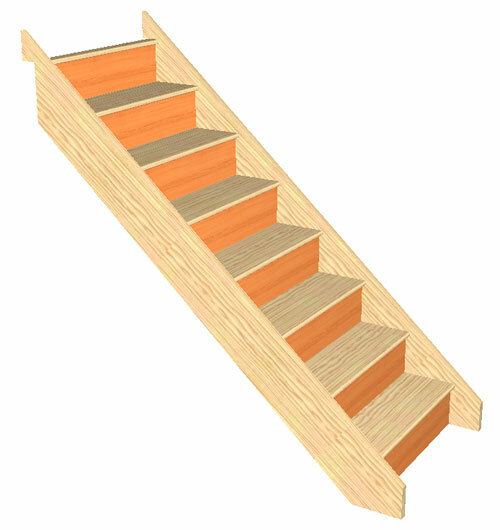 One straight step before a 3 kite winder turn and then eight straight stair treads to the top. 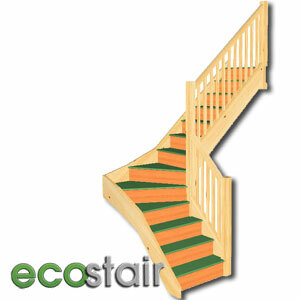 This staircase has 2 straight steps and then a three tread winder turn followed by 7 straight steps to the top. 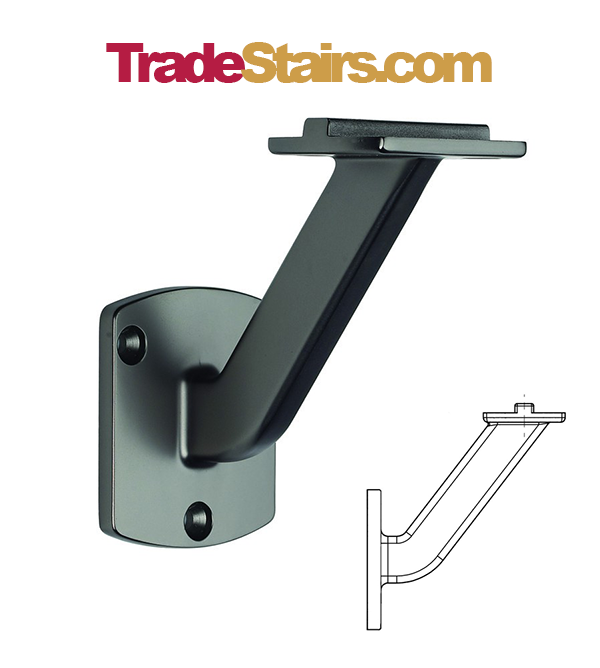 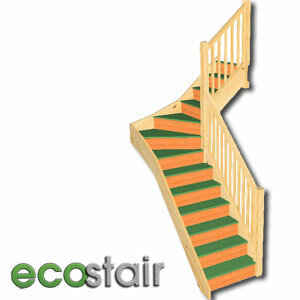 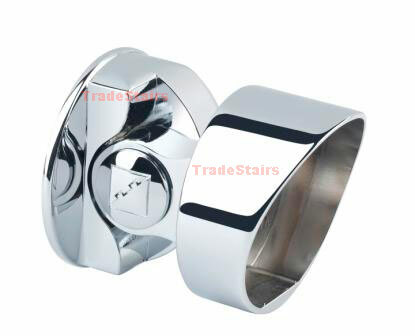 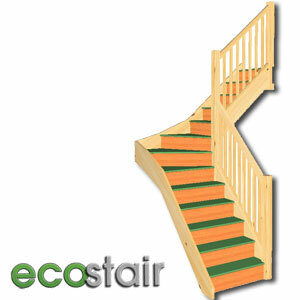 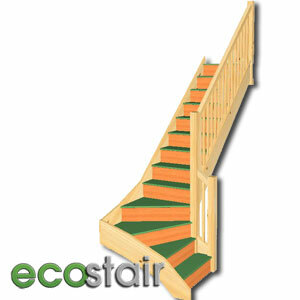 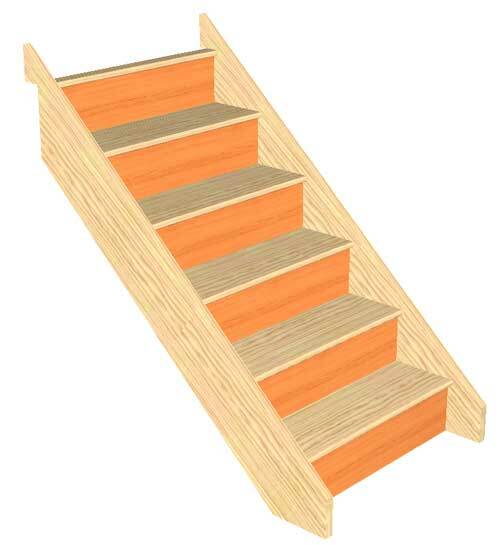 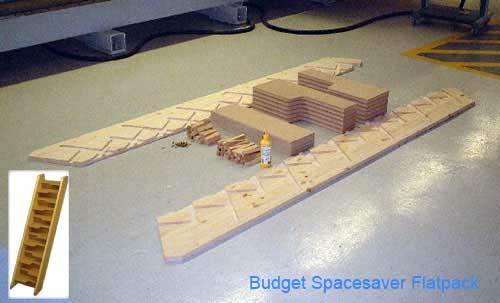 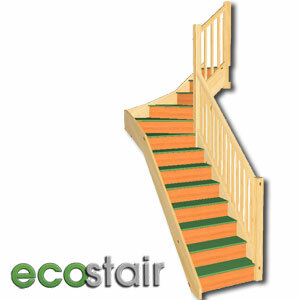 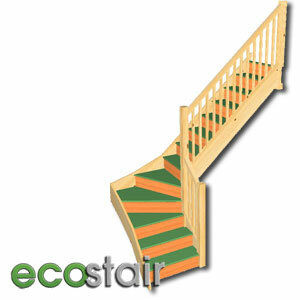 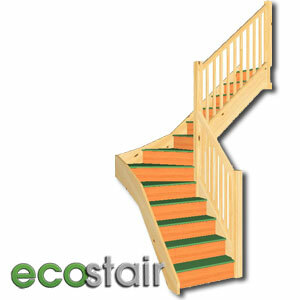 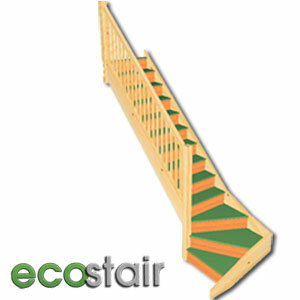 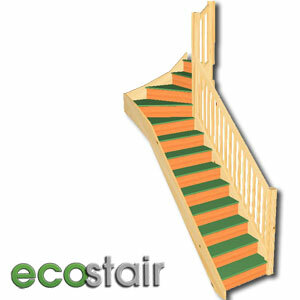 We can offer this stair design in other sizes just call us with the changes you require.